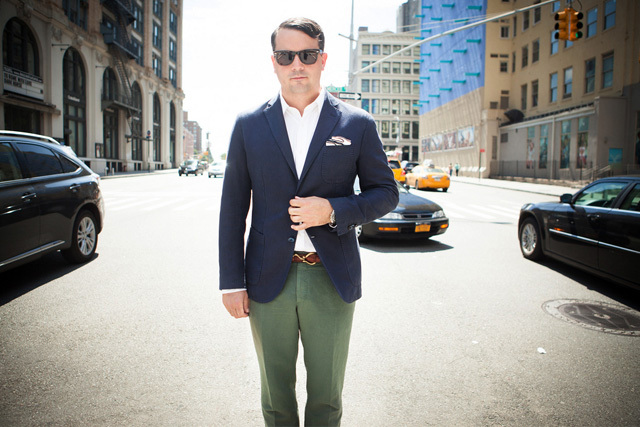 Originally from Cleveland, Michael Williams is a writer and creative strategist living in New York City. In 2007 he founded the popular men’s style site A Continuous Lean, which looks at the world through the lens of craftsmanship, quality and provenance. This search for heritage has led Michael to become one of the leading advocates for both well-made things and American manufacturing as a whole. In 2009, Michael co-founded The Pop Up Flea, a one-weekend at a time marketplace with carefully selected roster of brands which creates a unique non-traditional shopping experience. Over the past five years of The Pop Up Flea tens of thousands of people have shopped Pop Up Flea events in New York and London. In 2014, an expanded schedule will see Pop Up Flea events in New York, Detroit, London and Tokyo. In addition to his work with ACL and The Pop Up Flea, Michael is also a founding partner of the communications firm Paul + Williams, as well as the marketing agency Tennis Partners, working with clients like Levi’s, The Red Wing Shoe Co., Patagonia, Amazon, Club Monaco and Google, among others.